Display student artwork quickly and easily with MeshPanel Zig Zag Three-Panel Display Walls! Ideal for classrooms, libraries, hallways, exhibit halls, and science fairs, MeshPanels are made of a tough polyester mesh that rolls up for easy transportation and storage. 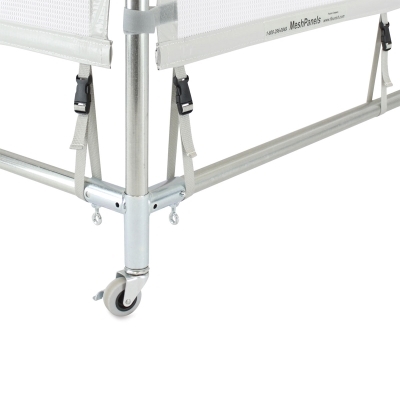 These heavy-duty frames are locked in a right-angle configuration. Choose standard feet or WheelSets for easy mobility. ® Flourish is a registered trademark.